This is a tough topic to speak on. Why you ask? There are many people who believe they’re saved, but they are not saved. On the other side of the coin there are many people who truly are saved but are struggling with the full assurance of their salvation. There is a difference between assurance of salvation and evidence of salvation. The assurance of your salvation should only come from the perfect work of Christ on the cross. We can be confident in our salvation. I believe it is extremely important to examine our lives such as what 2 Corinthians 13:5 tells us to do. Pay close attention, salvation is no joking matter. This is life and death! Some people who read this will spend an eternity in heaven with Christ. Unfortunately, some people who read this will one day be damned to hell for eternity. This is serious. 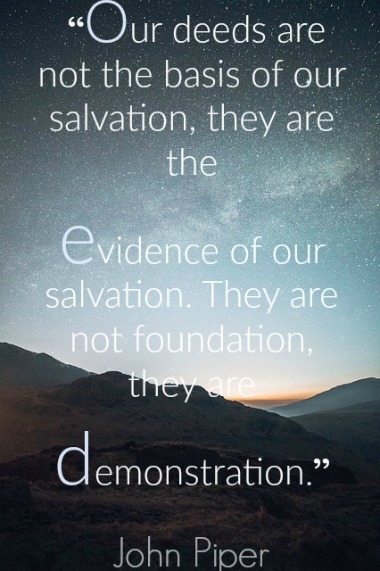 This article is about the evidence of our salvation. Below I have given 11 biblical signs of salvation. The number one evidence of salvation is that you will trust in Jesus Christ alone. Take a look at Matthew 7. Matthew 7:21-23 reminds us that many professing Christians will find out that they will not enter into heaven. We tend to focus on one aspect of the passage. Believers who live in a continuous lifestyle of sin and rebellion prove that they have not been born again. This is true, but notice verse 22. You will grow in your hatred towards sin. There is no denying that true believers are sensitive towards sin. You will grow in your hatred for sin and love for the things that God loves. Christians want to live a life pleasing to the Lord. We have a fear of hurting Him and we want to honor Him. Are you growing in your hatred towards sin? Does sin affect you now? Does sin break your heart? The mark of a believer is God’s hand on their life. God works in believers to conform them into the image of Christ. The sins that you once loved do you now hate them? Lost religious people stop doing the sins that they love. Converted people stop doing the sins that they hate. Believers have a new relationship with God’s Word. When I first got saved my desire for His Word grew. I wanted to spend time with Him in His Word. I never truly desired to read God’s Word before I was saved. Now that I was saved not only was I reading it, but I was also obeying it. I’m not seeking to obey His Word because obeying His Word saves me, I’m obeying His Word because I am saved by grace through faith in Christ alone. Has God put His law in your heart? Do you delight to obey the Lord’s commandments or is it a burden? Have you hidden God’s Word in your heart? You will have a greater sense of your sinfulness and your deep need for Jesus Christ. If there is one thing that great men of God such as Paul, Peter, Charles Spurgeon, and others all had in common, it was a great revelation of their sinfulness and a great need for Christ. When I became a Christian I never knew how much of a sinner I was. However, when I grew in Christ and started getting closer to Christ I started noticing more and more areas that needed improvement. The closer you get to the light the more sin that it reveals. The more that you understand God’s holiness the more you will see how short that you fall of His glory. Knowing your sinfulness propels you to Christ and it makes His blood much more precious to you. I fall upon Jesus Christ holding on to Christ for dear life. I know that if Christ didn’t die for my sins, then I have no hope. His blood is much more precious to me now than ever before. A true believer confesses their sin and grows in repentance. As we walk with the Lord we will confess our sins. We have been justified by Christ and adopted into His family. However, sin can hinder our relationship with the Lord. Imagine if you hurt someone in your family and you don’t admit wrong. You’re still going to be in the same family, but your relationship is going to be hindered. You have to apologize. In the same way, as believers we should confess our sins daily. The first reason is because we sin in our thoughts, desires, and our relationship with the Lord daily. The second reason is because sin grieves God and hurts our fellowship with the Lord. The third reason is because you never want to think that you are getting away with sin. Eventually your heart will grow cold. There are many people who claim to have not sinned in months. Impossible! Stay away from the guilt-free movement, which means that the Holy Spirit is not convicting you of sin and He might not be convicting you because He doesn’t live inside of you. Believers will bear good fruit. There are many people who claim to be Christian, but exhibit nothing but bad fruit. They act and talk like the world. Their lifestyle does not align with Scripture. They talk the talk but they don’t walk the walk. They have no victory over sin and this is strong evidence that they are not saved. Christians will grow and produce good fruit. Once again, I’m not talking about sinless perfection. I’m talking about looking at the entirety of someone’s walk of faith with Christ and seeing mostly good fruit. A true believer will grow. A true believer will make progress. Some grow faster than others. Some grow slower than others. However, there will be growth and we will see fruit in their life. God disciplines His children like any loving Father would. Evidence that you are Christian is that God will not allow you to go astray. Is it possible for a Christian to backslide? Yes! However, God will not allow a Christian to live in a continuous lifestyle of sin. If that person is a Christian God is going to lovingly discipline that child and bring him back. If God allows a professing believer who has backslidden to remain that way, then that is strong evidence that the person is not His child. He was just a poser who stopped posing. Has God put His fear of Him in your heart? Does your heart pound at the mere temptation of sin? Does sin deeply affect you? When we fear God, we understand how much God hates sin. We fear His discipline. We fear hurting Him. Do you fear hurting God’s heart? When you fear the Lord you respect Him, obey Him, and worship Him in awe. You will desire to have fellowship with Christ. I’m not saying that you will not go through seasons of dullness in prayer or dullness for the Word of God. However, if you never like spending time with Christ in prayer or in His Word, then that could possibly mean that your heart is unregenerate. If prayer is always a burden and you have no relationship with Christ, then you could just be involved in religion. Once again, even true believers can go through dry seasons, but they won’t remain that way. Genuine believers desire to spend time with their Savior. Some people have a stronger prayer life than others but a Christian will at least have a prayer life. Sometimes we pray not even to ask for anything. We just want more time with Him. If you told your wife you loved her but you never spent time with her, would she believe you? Evidence of your love for Christ will be seen in your devotional life. Do you desire to spend time with Him? You will desire to have fellowship with other believers. When you become Christian you are going to desire to go to church. Does going to church save you? No. However, you’re going to desire to have fellowship with other Christians. You are going to want to find a biblical church. You’re going to want to grow with other believers. You are going to love other believers and enjoy worshipping your Savior together. Believers maintain a clear conscience. Do you have a clear conscience before the Lord? A believer’s conscience should acquit them. Christians have the full assurance of sin forgiven. Never ask Jesus into your heart. What do I mean by this? The Bible never says to ask Jesus into your heart. Who says that He will come in? It’s dangerous to ask Jesus into your heart. When I first got saved I started to fall upon hard times and because of that I questioned whether Jesus came into my heart or not. When you ask Jesus into your heart you might one day wonder did He come in? This causes you to keep asking Him into your heart. What do I do then? God says to repent and believe. Don’t ask Jesus into your heart. It could lead you to think “I asked Him into my heart. I’m trusting in my decision.” Instead you should trust in Him for the forgiveness of sin. Believe He has taken away all your sins. Now you’re no longer trusting in your decision, but you’re trusting in His perfect work on the cross. Here are questions to ask yourself. Is God teaching you? Are you broken over sin? Do you see Him working in your life? Do you have a new relationship with sin? Have you separated from the ways of the world? Does the Holy Spirit convict you of sin? Do you want to be more for Christ? Do you see your great need for Christ? Do you put your trust in Christ alone apart from your works? Are you growing in repentance? Are you growing in your love for God? Do you desire to have fellowship with Him and His people? These are all evidences of someone who has truly been saved by the mighty blood of Christ. I used to struggle with the full assurance of my salvation. Why? I don’t know. Maybe it was because it was hard for me to understand God’s great love for me in the light of my sin. Maybe it was because I was placing my focus on my performance and not His perfect work on the cross. Does this describe you? If so, do what I did. I prayed night and day until God gave me full assurance of my salvation. After a couple of weeks of wrestling with God, I finally had full assurance of my salvation. It’s been years and I still have full assurance of my salvation. I know beyond a shadow of a doubt that when I die I will spend eternity with the Lord. Nothing can take away my salvation and His great love for me. My joy does not come from my performance and how well I walk this Christian life. My joy comes from the perfect work of Christ my Savior. His blood is enough!